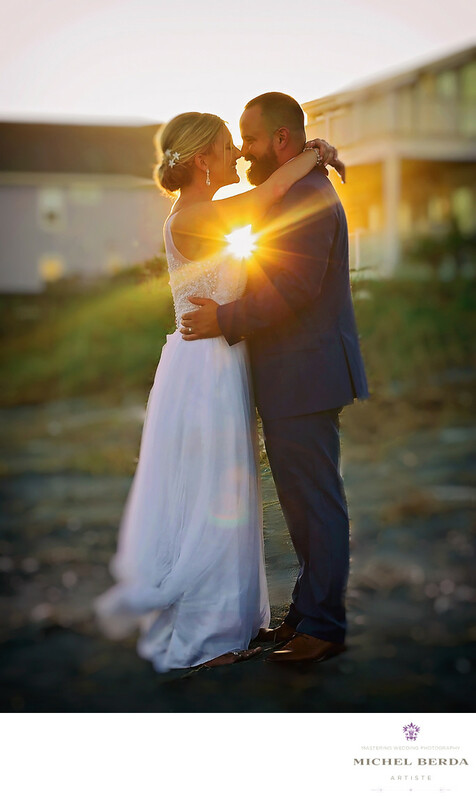 A wedding couple with the perfect sunset photo. Your wedding photos will only be as good as the vision you give that storyteller you want and for them to create that or those compelling wedding photos that you will cherish for many generations. ..Located just 21 miles from Charleston, you will find an exclusive island called Kiawah Island golf resort. From AAA ratings to private homes, to an oasis of tranquility you will find this island resort the perfect wedding venue for your family and friends. This beautiful coastal island offers a variety for you to have in selecting where in Kiawah Island you will like to have your wedding ceremony and reception, From the beach to oceanfront hotels, featuring The Sanctuary Hotel, to the new oceanfront hotel, grand lawn, grand oaks ballroom, to the new sanctuary chapel, golf clubhouses featuring the Ocean Course Clubhouse, Osprey Point Clubhouse, Turtle Point Clubhouse, for that perfect island outdoor soiree to ancient oak trees to antebellum houses. ..I love traveling and capturing weddings on this beautiful island Called Kiawah. They are so posh, unique, and so glam. Many future wedding clients love my true passion for wedding photography but more importantly they pay huge attention to my years of experience especially being a lighting master and when they look back at their wedding images they always appreciate how I have the expertise to capturing incredible reception photos, and magical & epic sunset wedding images.Keywords: Charleston (1179), James Island weddings (3), Michel Berda (1140), photographer (1125), Wedding Photographer (1254), Wedding Photography (123), weddings James Island (3).